More good news for the captive industry in North Carolina, from the Department of Insurance. According to Debbie Walker, Deputy Insurance Commissioner responsible for captives we currently have 584 domiciled captives in North Carolina (199 stand-alone, 385 protected cells). As of December 6, there are 19 stand-alone applications, and 13 cell applications pending approval by the department. Assuming all are approved and licensed, effective December 31st , we should have more than 600 captives domiciled in the tar heel state. Please know that this 584 total includes some inactive captives, which have ceased writing coverage for business or other reasons. This extraordinary growth makes NC one of the top ten captive jurisdictions in the nation. Commissioner Mike Causey and the department staff will be working long hours this December to process these and other applications as they arrive. The Commissioner usually releases final numbers for the year in late January to early February. NC Captive Insurance Association annual dues are due by December 31st. If you did not receive a dues invoice or need another copy for your records please contact Diane Waltman in the association headquarters at the phone number below or diane.waltman@nccia.org. Payment can be made by check or over the telephone by credit card. adjournment resolution as to matters which can be addressed. 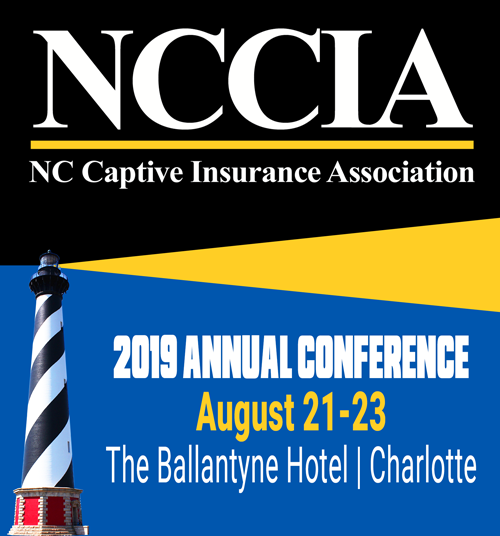 If members have any suggestions as to captive law technical changes which they would like to propose, please forward them to our Governmental Affairs Director, lane.brown@nccia.org . The NCCIA Government Affairs Committee will consider any proposal presented for possible discussion with the Commissioner’s staff. The NCCIA staff wishes you Happy Holidays and Merry Christmas!